Mary Poppins is one of my favorite musicals. I love the magic of make-believe and love the family positive message. I often rotate musicals by the year so by the time my students leave my building they have seen 5-6 classic musicals. I tend to show the same musical to multiple grade levels and use different activities with each group. I've compiled many of these activities into Mega Packs that you can purchase in my store. 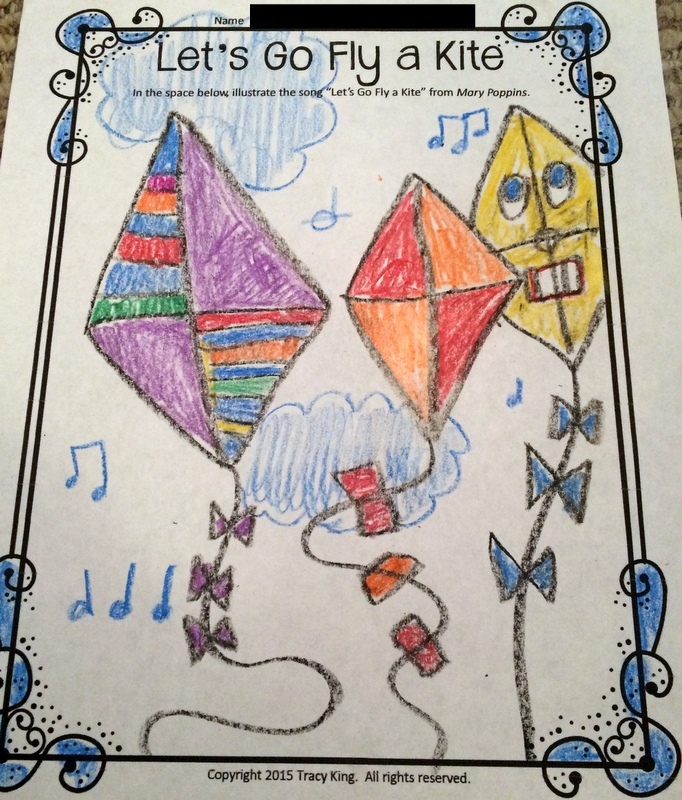 Each pack contains a viewing guide, coloring sheets and other worksheets appropriate for K-6. 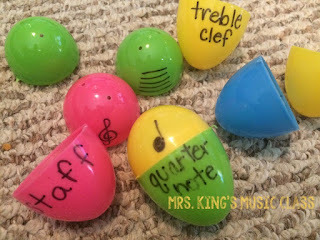 I've used these resources with 7th and 8th graders and some with a high school general music class. 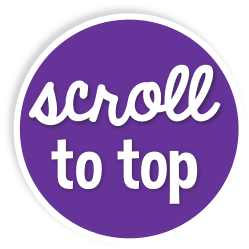 In this post, I'm going to highlight a few of the activities I use. With 5th and 6th grades we watch Mary Poppins with a viewing guide. Younger grades often struggle to keep up with the questions while watching, so I don't usually use viewing guides with them. The viewing guides ask students to answer questions about what is going on in the video. Most of the questions aren't really for musical assessment but more to keep them on task. This works great if they start the musical or finish it with a sub. I usually don't get musical subs so it is an activity that any sub feels comfortable with. In the Mary Poppins set, I have included a worksheet that includes names of people and things from the musical are listed. Students are asked to identify the number of syllables in each and then match them with notation. I have also included graphic organizers that ask students to compare and contrast songs from the musical. 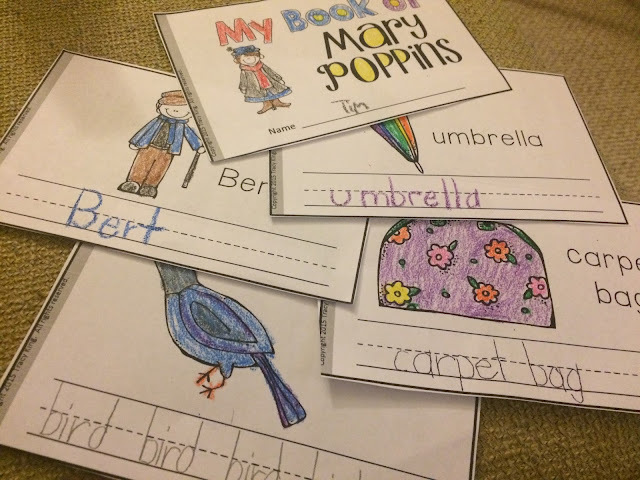 I don't have a photo of one of those, but they are a quick and easy way to incorporate writing. 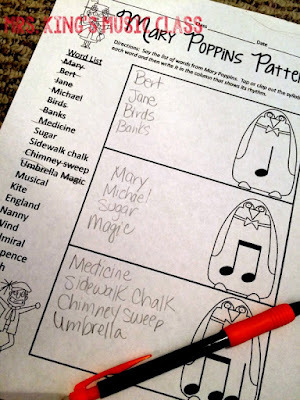 I love that they provide an opportunity for students to refer to the word wall and write using musical terminology. For my younger learners, I love to use a coloring sheet while listening to the soundtrack. After they have seen the movie, they often want to sing along. I love that! Character analysis is an important skill. I've included several sheets and a couple of different ways for students to share what they know about the characters and compare them. 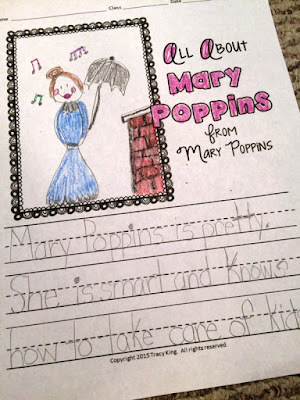 I love what this one says: Mary Poppins is pretty. She is smart and knows how to take care of kids. Analyzing other themes in the musical can sometimes take a great deal of time. 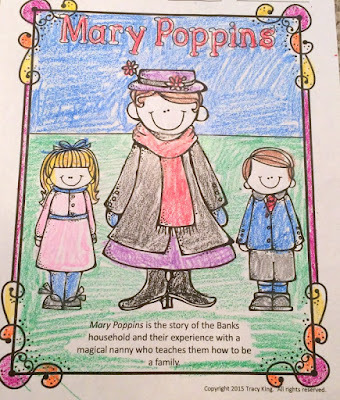 In the Mary Poppins set, I've included a couple of worksheets to help with this. 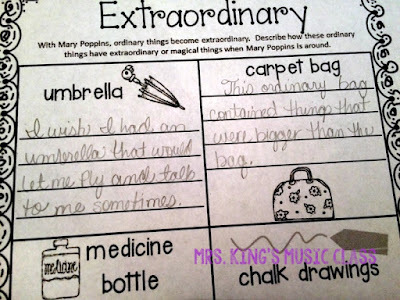 In the one pictured above students are asked to explain how ordinary objects become extraordinary when Mary Poppins is around. 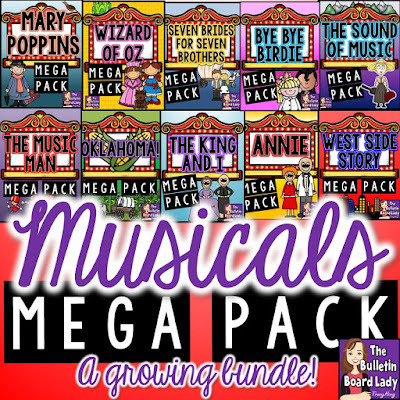 In each of the Musical Mega Packs I've included sheets that ask students to illustrate a song from the musical. I love the creative ways that students approach this. Sometimes I'll send these sheets home for them to finish and then display them outside of my classroom or on a bulletin board. You can get the Mary Poppins set HERE. It is also part of a larger, growing bundle that already has TEN musical mega packs and a couple of bonus files included. Check it out HERE. 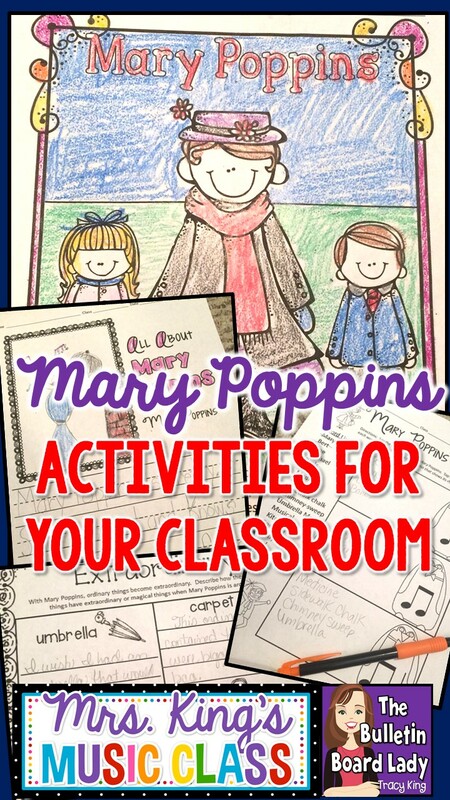 Another activity that I use is the My Book of Mary Poppins. 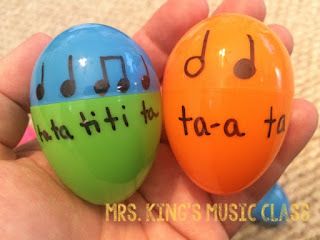 This is another activity that I might use while listening to the soundtrack with K-2. This is such a nice momento for students to take home and classroom teachers LOVE the finished project too! I usually print and staple the books together to same time with my Kindergarten classes. The other groups can usually put theirs together and complete most of it during class. The whole set contains 14 different pages for students to complete. You can download it HERE. In addition to watching the movie and completing some of the activities above we will often learn a song or two from the musical. I love this arrangement by John Jacobson. If you are a Music Express subscriber you may have this version of Supercalifragilisticexpialidocious. 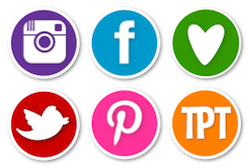 Follow The Bulletin Board Lady-Tracy King's board Music Class - Musicals on Pinterest. Hurray for spring! I love to watch the trees and flowers bloom and love the chance to get outside just a little more as the temperature warms. 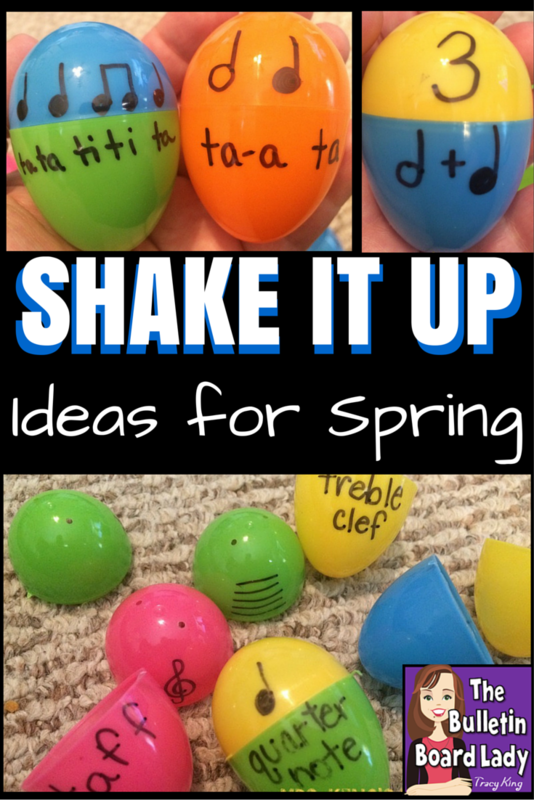 In the classroom, spring fever seems to creep in and surprise me so I'd like to share a few of my favorite springtime activities to shake it up a little! Okay...that was probably a little obvious, huh? I fill them with dry beans or rice and then seal them. I have tried glue and super glue without the success that I wanted. If students squeeze the egg hard enough, it still pops open. I've found the most success with Scotch tape or washi tape (a pretty, patterned version). I let students know that the eggs will NOT pop open by themselves and the tape won't come off by itself so if something happens, they will be responsible. Totally works for me! This song is SO much fun and works around Easter or just for a song about farm animals. We use our shaky eggs to show fast/slow, up/down and more. This number is called Hunting Easter Eggs. 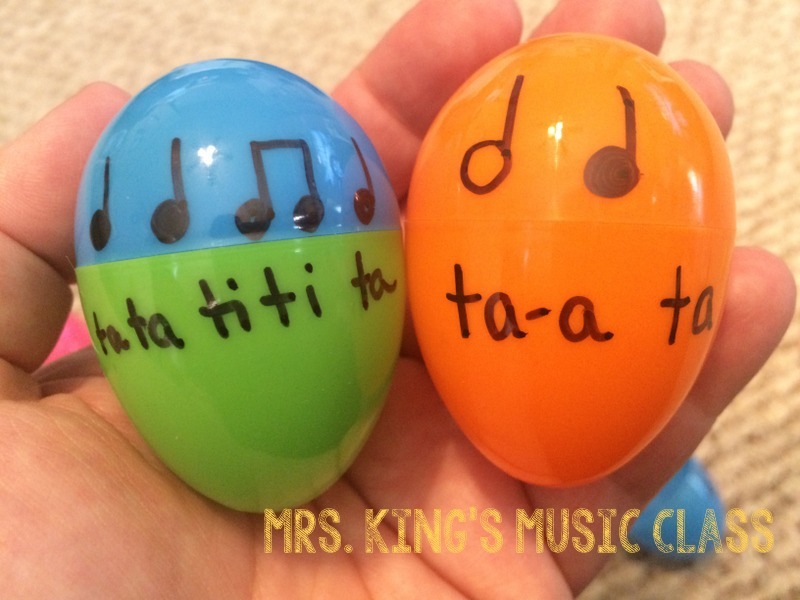 Not only do we sing this song, but we use shaky eggs to keep the steady beat. Occasionally we will use this song to move sneakily around the room and play musical statues. Symbol Match - Write the name of the symbol on one half and the symbol on the other. I use this set with 3rd grade and up. Instrument Scrambled Eggs (See what I did there? *wink*) -Write the instrument name on one half and the scrambled letters in that name on the other part. Make it a little more advanced by providing baskets labelled: brass, woodwinds, percussion, strings and let them sort them into their families. Syllable Sort -notation on one half, syllables on the other. 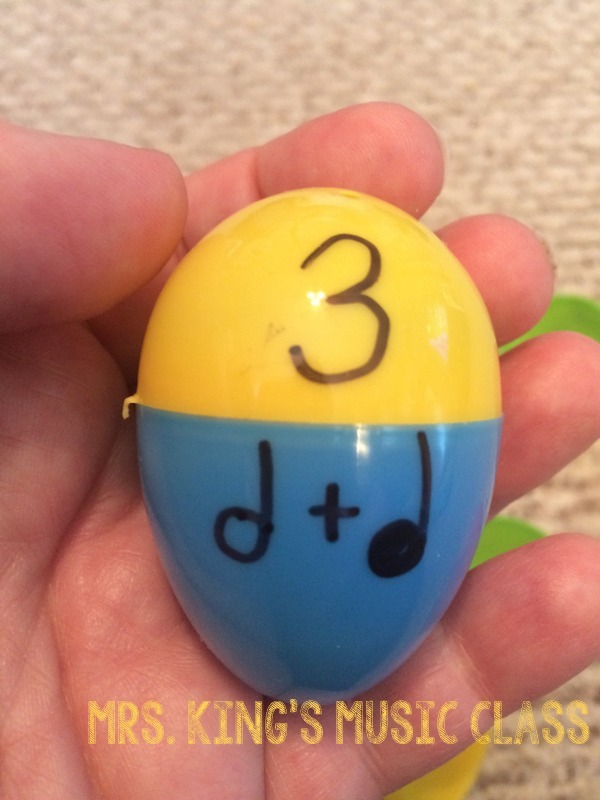 EGGcellent Math -Musical addition problems on one half and answers on the other. 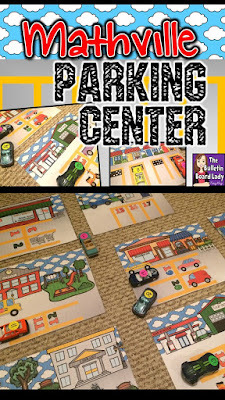 These centers were pretty easy to make, but if you wanted to make several sets it might be fun to have an older class create sets for you. They would think it was fun and you would have several sets of the same game to use with small groups. Use them like scarves and ribbons. I think it is so important for kids to have time to explore movement in a fun and safe environment. 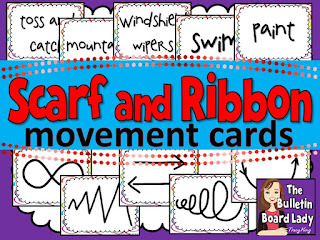 I like to give students two egg shakers and then use these ribbon/scarf movement cards. I show them a card with a shape on it and them imitate it by shaking their eggs and moving. 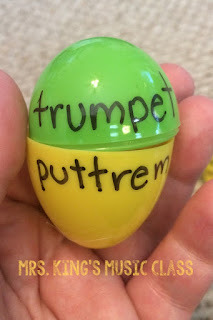 I use many different songs for this activity but "Bunny Hop" or "Twist and Shout" are especially fun! Check it out HERE. You are WHEELY going to love my newest workstation. *giggle* Sorry. I just couldn't resist! I want to share with you an old center that I've turned into something new and pretty. I haven't updated its name though. 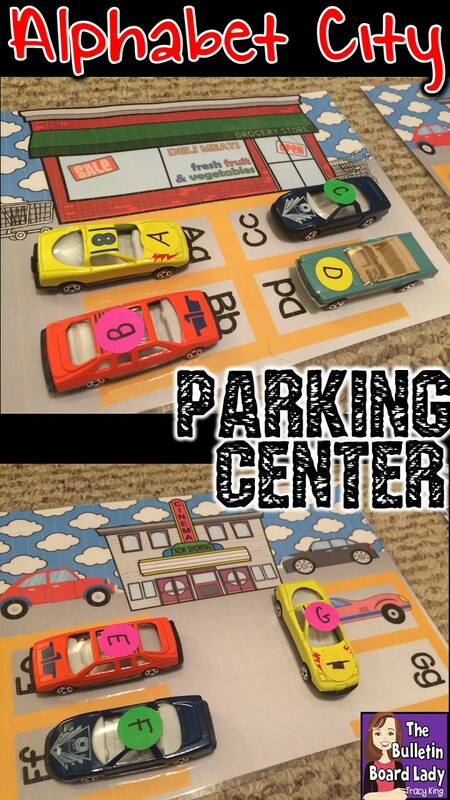 I just call it "Little Cars Parking Center" because at this station you...uhm...park little cars. I call the little town that I've created "Music Town". Let's take a look! 1. Little cars -Matchbox, Hotwheels or whatever kind you can find that are about 1 inch wide. I found packs at Dollar Tree that were 3 for $1. I've also found huge buckets full of them at yard sales too. 3. Coloring coding dots or another similar circle sticker. You don't have to use these. You can use a permanent marker or paint pen and draw directly on the cars. I've found that the stickers last a little longer and are easy to remove if I want to switch things up. To create the center, I drew 24 symbols on the circle stickers. Then I put them on the little cars I had collected. Next I laid out "Music Town". Each of the parking spaces has the name of a note or symbol. Students drive the matching car to the parking space. Earlier I referred to an older version of this workstation. In that station I used an old cardboard box for this. I broke it down and cut it apart so that it was flat and then drew roads, buildings and parking spots all over it. The kids LOVED it, but it wasn't very sturdy and it was tricky to store. This version fits in a file folder. Hurray! 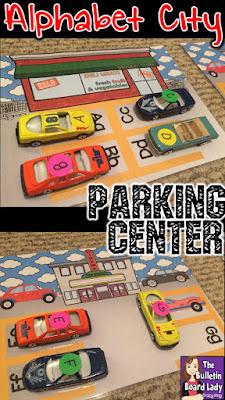 Also included in this set is a Parking Guide. This shows the symbol and its name for students that may need a little bit of help with the names. 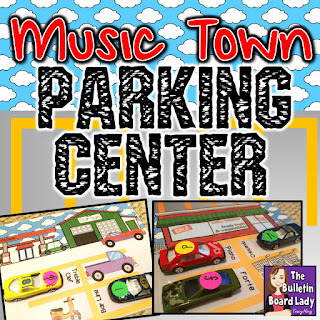 In the set there are two versions of Music Town. One of the versions is picture above and includes the names of each symbol in the parking spaces. The other version included shows the symbol. This is an easier game for your youngest learners. 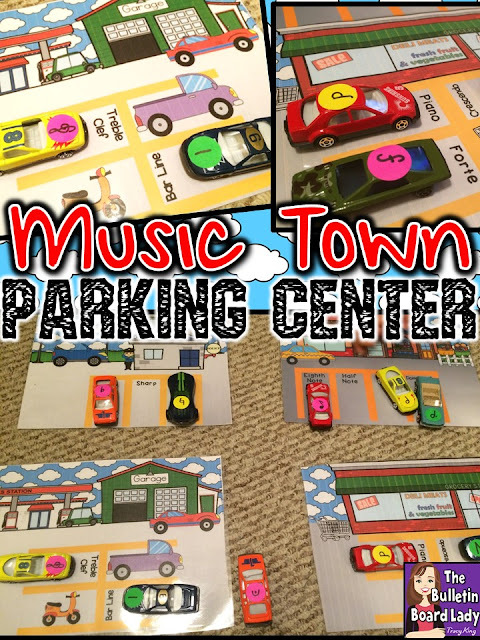 This station works well just as it is, but I've added a couple of worksheets that ask students to take a look at Music Town and answer a few questions. I think this reinforces the symbol name yet again. You can grab all of this in this set in my store. Do you teach kindergarten or preschool? You might like Alphabet City and Mathville!